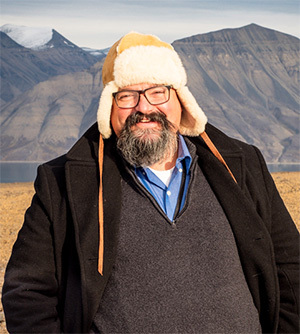 Jonathan Justi at Arctic Regional Hydrographic Commission meeting in Svalbard, Norway. I have the pleasure to open this week's newsletter with a brief note highlighting Coast Survey’s international activities. Did you know nearly two dozen of our Coast Survey colleagues are involved in representing our office (and the United States in general) internationally? Coast Survey engagement comes via bilateral cooperative relationships where we share operational and research information (Craig Winn just returned from a month in the United Kingdom Hydrographic Office, for example). But most of our international engagements stem from our treaty commitments as a member state of the International Hydrographic Organization (IHO). The director of Coast Survey serves the function of national hydrographer for his/her role producing and maintaining the suite of nautical charts, publications, and services for US waters. This week, Rear Adm. Smith will be chairing the second meeting of the IHO Council in London, attended by nearly half the IHO membership. As chair, Rear Adm. Smith will facilitate discussions during what is considered the senior executive oversight board of the IHO. These discussions include not only the financial and overall work program of the IHO and its working groups and commissions, but also two particularly critical topics before the community at this time. First, the council is actively revising the strategic plan of the IHO. Second, the membership will begin discussing the implications of the new generation of hydrographic data modeling, management, and product development. John Nyberg will be leading the U.S. delegation which includes our former director, John Lowell, now serving as Senior GEOINT Authority for Maritime at the National Geospatial-Intelligence Agency. I will be supporting Rear Adm. Smith and the U.S. delegation wearing a dual hat as Coast Survey staff and IHO Secretariat support. Wish us luck! And lastly, if you wish to learn more, please do not hesitate to let me know. I will be updating the content of our Navigator International Program webpage over the next few months, but in the meantime, if you are interested to have a little taste of the variety of tasks day-to-day, please visit this page. The IHO home page is also very informative. This summer, the Coastal and Marine Geology Program of the U.S. Geological Survey (USGS) and Coast Survey together ran an interagency ocean mapping project across several large portions of the Cascadia Margin, offshore of California, Oregon, and Washington states. 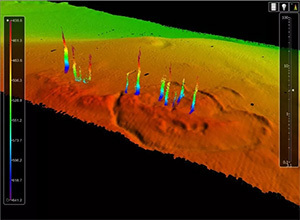 This collaboration, conducted aboard the NOAA Ship Rainier, used hydrographic surveying equipment to collect swath bathymetry, backscatter intensity data, and full water column data within the project areas. The high-resolution geospatial data acquired will provide key baseline data for targeted USGS studies to improve hazard assessment and forecasting for marine geohazards offshore of northern California, Oregon, and Washington. NOAA will also use the data to update nautical charts for safe navigation in the region. Visit our blog for the full story. For more information contact Paul.Turner@noaa.gov. 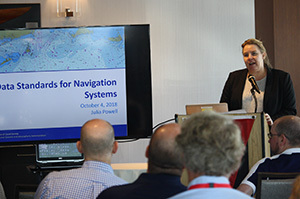 Last week, NOAA hosted its fourth annual NOAA Navigation Industry Day providing information on the latest navigation-related data streams, models, and products that are freely-available to maritime application and navigation system developers. 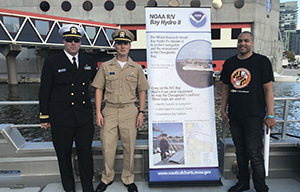 Held at the Annapolis Yacht Club, the event highlighted not only new data enhancements and models that can provide added-value to existing navigation systems, but also updates to the National Charting Plan, the new NOAA Custom Chart Tool. The agenda, presentations, and one-pagers from the day are available on our webpage. For more information contact Sam.DeBow@noaa.gov. Jayson Taylor, NESDIS; at Maryland Fleet Week. Last week, the Bay Hydro II transited to Baltimore to participate in the 2018 Maryland Fleet Week and Air Show. Over the course of four days, the crew welcomed more than 4,000 visitors, including school children eager to learn about the vessel, survey operations, and NOAA's mission. The event celebrates the rich maritime traditions of the Chesapeake Bay and the contributions of Marylanders to the defense of the nation. For more information contact Patrick.Debroisse@noaa.gov. and JHC’s weather. model display. Ocean Discovery Day is an annual two-day event held at the Chase Ocean Engineering Lab at the University of New Hampshire Durham campus. On September 28, more than 1500 students from school groups and homeschool families from New Hampshire and Maine came to visit our facilities and learn about the exciting research happening here at the university. 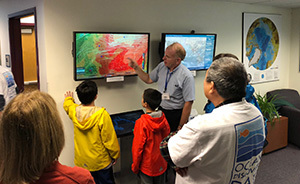 Activities and demonstrations for all ages highlighted research on telepresence, ocean mapping, autonomous surface vessels, remotely operated vessels, ocean engineering, weather forecasting, coastal ecology, and ocean visualization. The event was open to the public the following day when close to 700 more children and adults visited, including a scavenger hunt for participating boy and girl scout groups to earn an Ocean Discovery Day badge. The event is co-sponsored by New Hampshire Sea Grant, the Center for Coastal and Ocean Mapping/Joint Hydrographic Center, and the School of Marine Science and Ocean Engineering. For more information contact Tara Johnson tjohnson@ccom.unh.edu. NRT 1 - Preparing for possible Hurricane Michael response. NRT 2 - Preparing for possible Hurricane Michael response. NRT 3 - Conducting repairs and testing of engine throttle; team is on standby for augmenting Hurricane Michael response. NRT 4 - On Manta for survey in Flower Gardens Banks National Marine Sanctuary. NRT 5 - Augmenting on Manta for survey in Flower Gardens Banks National Marine Sanctuary. Bay Hydro II - Transit from Fleet Week then maintenance and data processing. 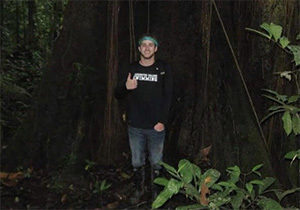 Kevin Mackenzie in Yasuni National Park, Ecuador. Coast Survey's front office staff welcomes Kevin Mackenzie. Kevin is a communications intern specializing in social media. Kevin graduated from Washington College with a degree in environmental studies and minor in Hispanic studies. He enjoys swimming and fishing in his free time. In the future he hopes to spend more time traveling through Latin America. Congratulation to the mentees and mentors that just recently completed the National Ocean Service pilot mentor program. Mentees included Greg Seroka, Meredith Payne, Janice Eisenberg, Nicholas Szelak, Allison Wittrock, and Wei Wu. Mentors included Lynne Mersfelder-Lewis, Lorraine Robidoux, and Heather Gilbert. The program consisted of training and support for mentors, pairing exercises to find good matches between mentors and mentees, and encouragement for mentees to take on a "stretch" assignment (taking them out of their comfort zone). Meredith Payne, for example, organized a Coast Survey discussion and training on Individual Development Plans as her stretch assignment in September. While limited to Coast Survey headquarters for the initial event, it will be expanded to the field offices in the future. Meredith is happy to share materials and suggestions with interested staff. The 2019 mentor program is underway through a new NOAA-wide program. Please encourage staff, peers, and co-workers to apply. Contact Jill Walther at the NOAA-wide program for additional information, 301-628-1835 or via email at noaa.mentoring@noaa.gov. Congratulations to all of the NOAA Corps officers that were recently promoted. A special shout out to those that work and previously worked in Coast Survey! NOAA’s Coast Survey blog has moved! Our new blog is now integrated into our website so that all the information you need is at your fingertips. We are excited to continue to share informative and inspiring stories, updates, and news about Coast Survey.